As Jason says, the extended swingarm gives the bike just enough “papi chulo” — a stretched bobber with pullback bars. Below, we get the full story on the build. 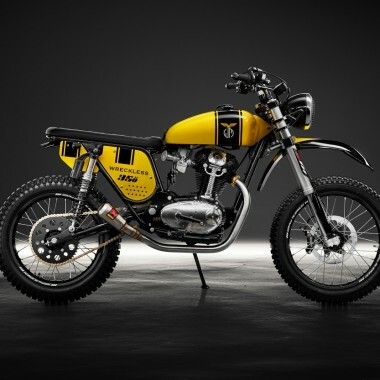 Offset Motorcycles is dedicated to making vintage custom bikes that people can ride today. Rounding the corner on 30 bikes now, it felt like it was time to start creating some purchasable parts. 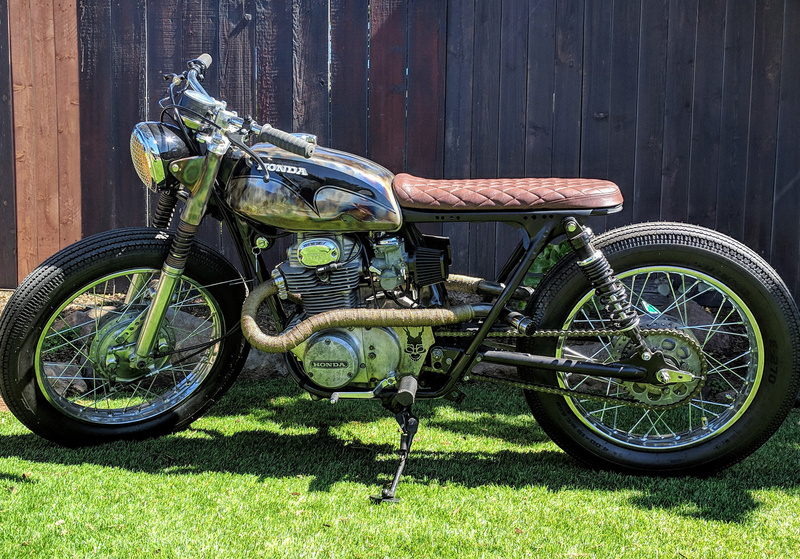 I find that the more customer builds I take on, the more it’s just one or two pieces of fabrication that make or break a whole bike. My hope is to supply builders with that one special bolt-on piece that helps them get over the creative hump, and onto an inspiring new build they made with their own two hands. 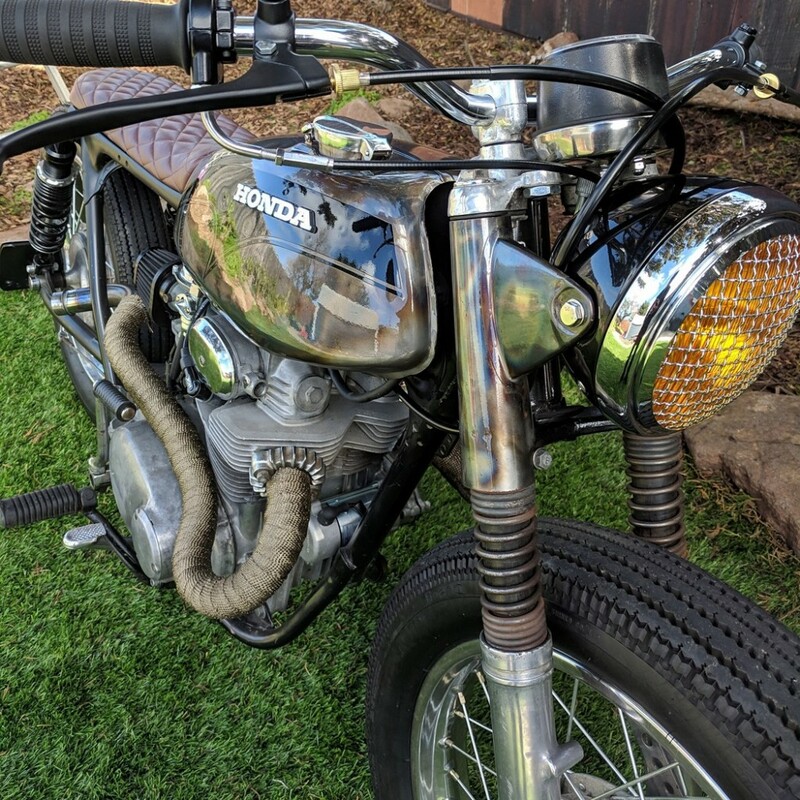 1972 Honda CL350. Classic swap meet special. I picked up the bare frame for cheap and started sourcing parts. 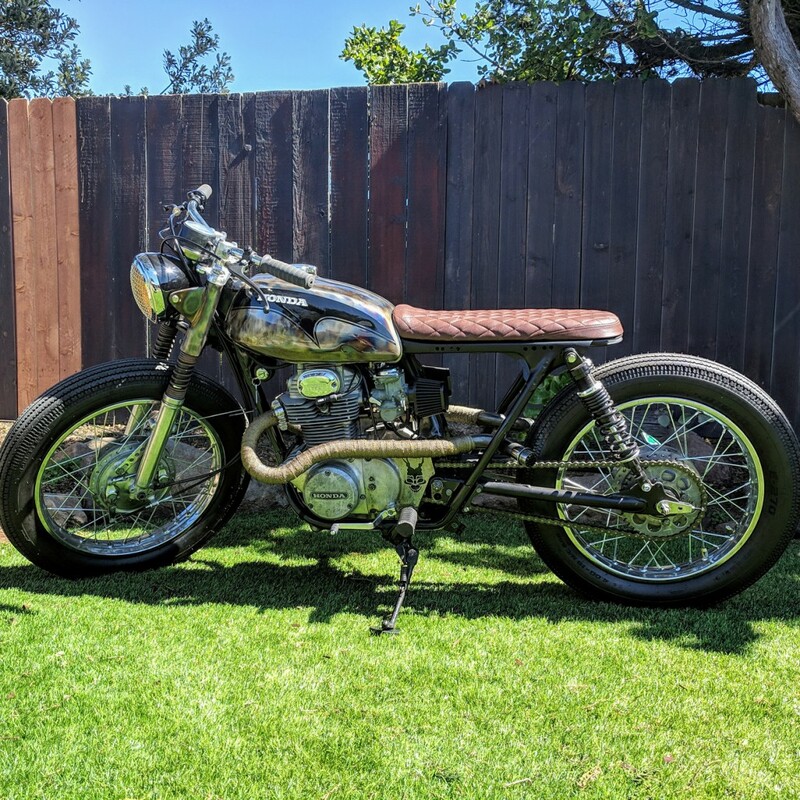 The bike was built primarily to showcase a product I have brought to a limited production run, the CB350 extended swingarm kit. I have two different models listed on my website and for sale on eBay. The swingarms come with new bushings and a bunch of other stuff to help you get the stance adjusted and extended the linkages if you like. The kit is $289 plus shipping, and you get it on eBay (https://www.ebay.com/itm/273761599606) or cheaper if you contact me through my website and mention BikeBound. 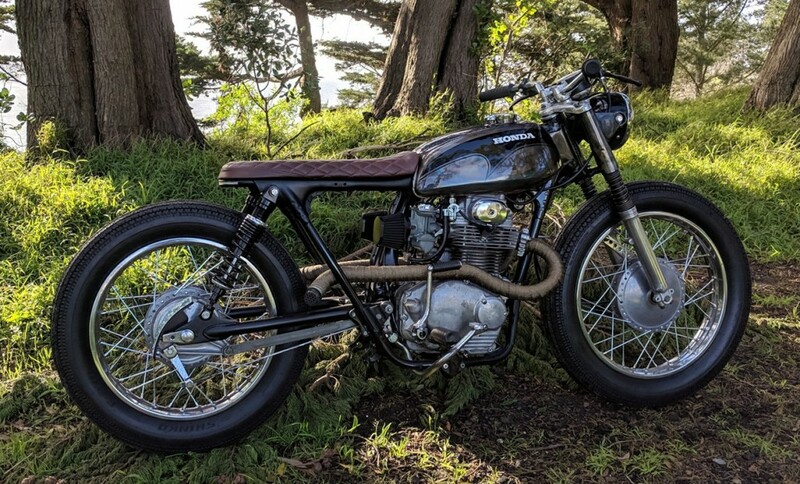 I wanted to show off what a 3” extended swingarm can do to the stance of a CB350. There have been a handful of builders that have created an equilateral triangle using an extended swingarm and shock combination. I have always admired those bikes. 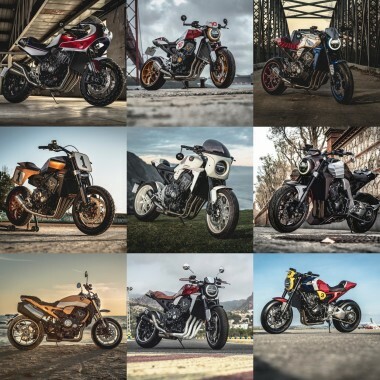 One in particular was from 5 years ago on BikeEXIF, and it never left my consciousness. 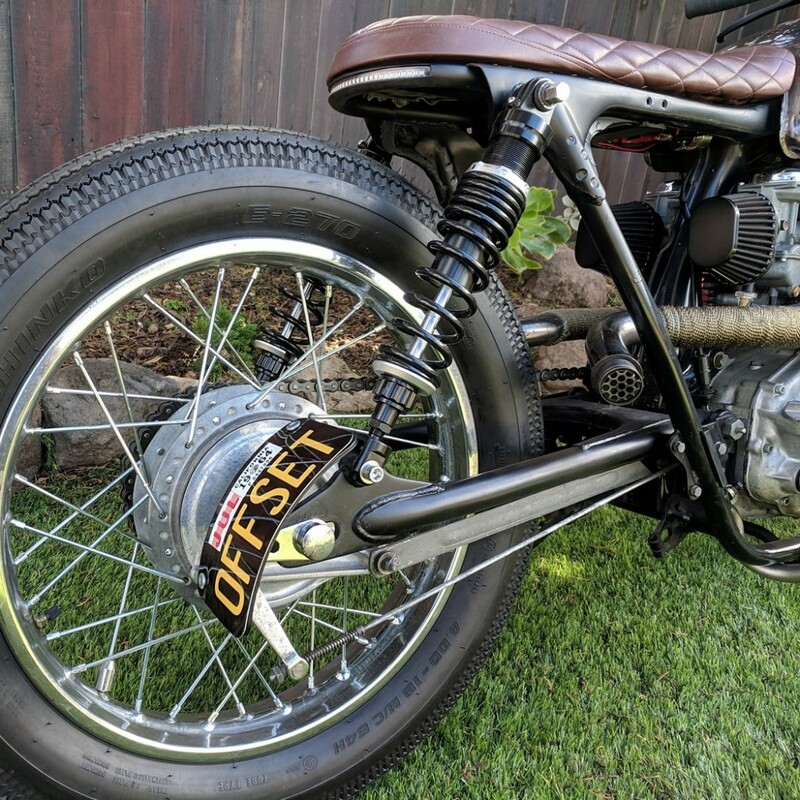 A Finnish industrial design student named Timo Karinen had the same idea (before it was cool) but he didn’t lower his front end to make the bike sit level. I did that here. I also had an idea to build a bike that could satisfy my cravings for a 1940’s bike, and I think I nailed it. It’s hard to explain the riding position, but it’s exactly what I was looking for, a stretched bobber with pullback bars. 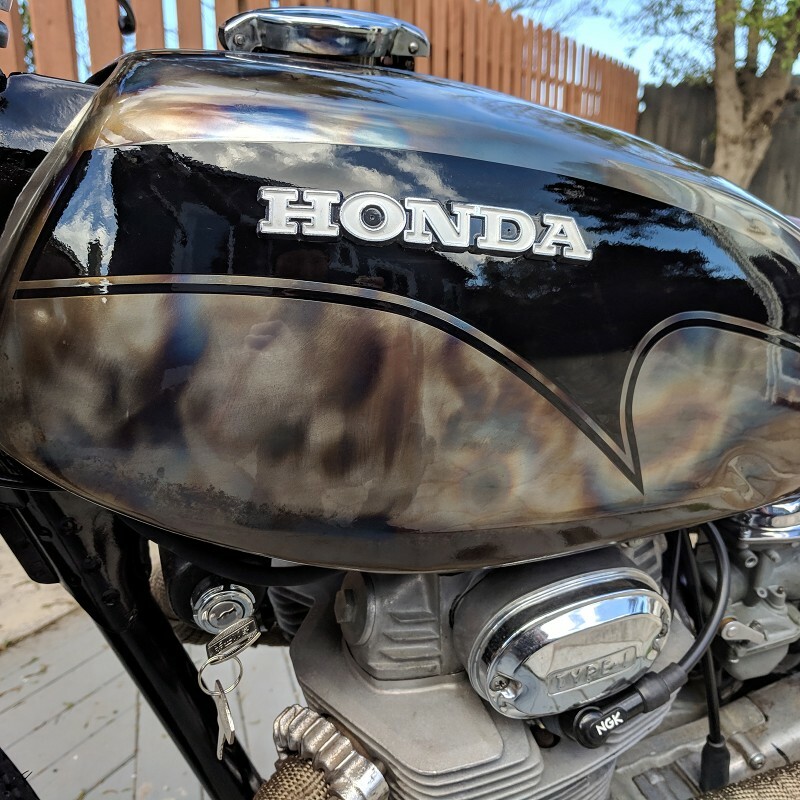 The first step was to match the odd CL tank slope to the brat seat I bought from Tran at OC Cafe Racer in Orange County. 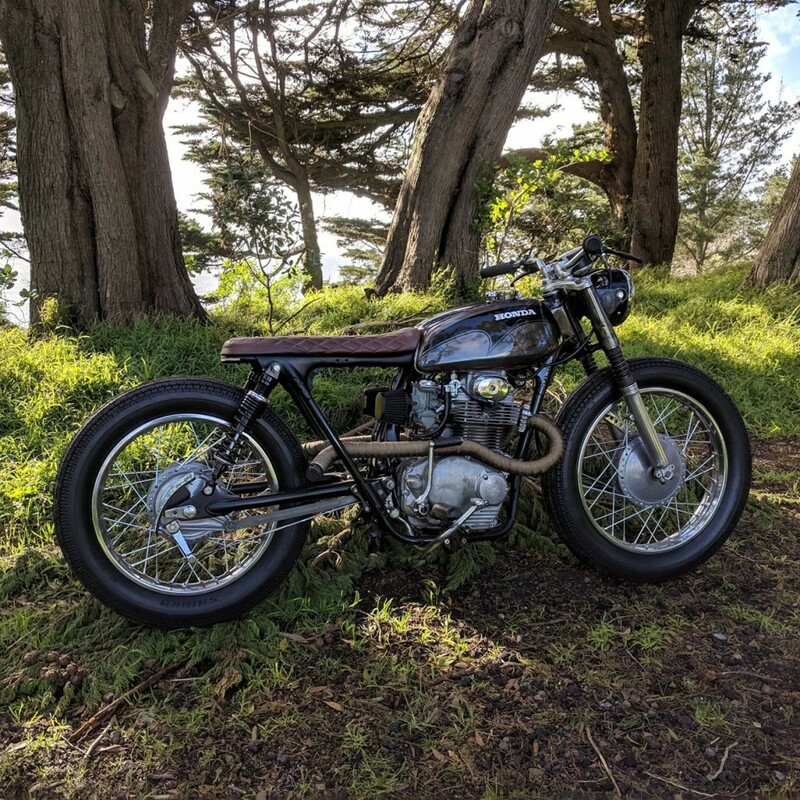 This is my third featured bike on BikeBound with one of Tran’s seats. So, I lowered the front tank mounts both down and back a half inch and that helped me to squeeze the slopes together. After that I put my extended swingarm kit on there and made my perfect triangle. Buying shocks the right length wasn’t hard, but then I had to lower the front end to make the whole bike sit level. 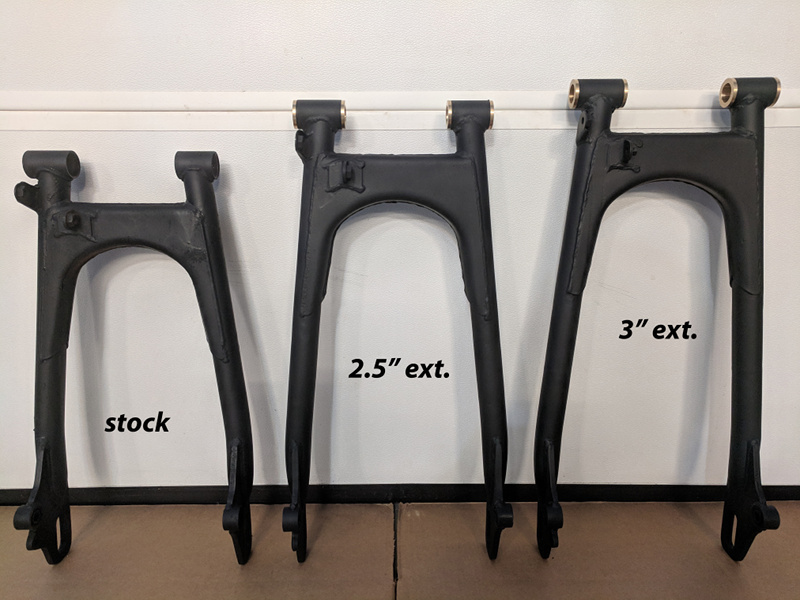 With this early triple tree assembly, you can’t just mount the fork legs higher in the clamps, so I heated up the outer fork springs and compressed them using a spring compressor to get them to mash down to the right height. Then I cut a section out of the fork legs and rewelded them. The tank and headlight ears were stripped to bare metal and torched with propane to give it a burnt pipe look. All the electronics are mounted under the seat in a flat tray like I do all my bikes. This one was done with no electrics on the handlebars at all. The bike starts with a turn-key ignition, like in a boat, and the headlight switch is under the headlight itself. Finally on the exhaust I had some help from my friend Alan, who owns this KZ400 café racer featured on BikeBound. We got two left side CL350 exhausts and cut one of them apart to make the right side rams-horn effect. The two sides aren’t identical because the engine cases are different, but it turned out great. Just the way the bike sits. I really love this stance. It’s got just the right amount of “papi chulo”. This bike is special to me because building it made me realize that the cheap 70’s donor bikes are almost gone, and they aren’t coming back. The more we keep hacking them apart, the more valuable they will become. im a sukka for a well stanced bike ! this thing looks incredible !